The release of tax revenues to the PA "gives the murderers of Jews and Israelis luxury and respectability." 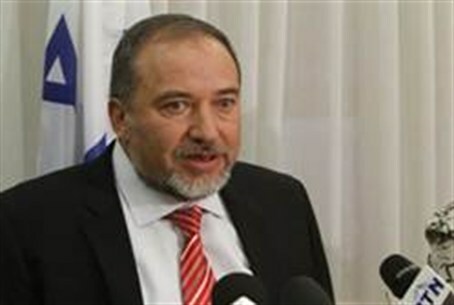 Foreign Minister Avigdor Lieberman on Wednesday criticized the decision of eight senior ministers to release frozen tax revenue funds to the Palestinian Authority. "The decision to transfer the funds to the Palestinians is a painful decision that may help restore relations between Israel and the Palestinians, but will allow the PA to continue to use the money to encourage and perpetuate terror," Lieberman said. "It is a mistake to transfer funds to the PA when its leader Mahmoud Abbas uses the money to provide homes and grants for terrorist murderers," Lieberman said. "It gives the murderers of Jews and Israelis luxury and respectability - encouraging the next generation to join the terrorist's ranks." Lieberman added, "The PA continues its campaign against Israel in the international arena: agitating, calling for boycotts, and making baseless accusations against Israel via lawfare. Claims the money is money belonging to the Palestinians and should be transferred are preposterous because no money used for terror and incitement is kosher." "All government officials in Israel need to explain this reality clearly to the international community and reject the pressure that led to this wrong decision," Lieberman said. Lieberman said earlier this week that his Yisrael Beteinu faction would do everything short of bringing down the government to keep tax revenue transfers to the PA from resuming. Bringing down the government amid the Arab Spring and unilateral PA offensive at the United Nations would put the nation in danger, Lieberman said. The foreign aid dependant PA has been on the brink of fiscal insolvency for almost a year now amid a downturn in donations and the unrest of the Arab Spring. Israel's decision to freeze tax revenue transfers in light of Ramallah's unilateral track - a violation of the bilateral Oslo Accords - led PA prime minister Salam Fayyad to say the PA would have to shut down if the Netanyahu government didn't release the funds. Defense Minister Ehud Barak has been a primary proponent of releasing the funds, while Lieberman and Finance Minister Yuval Steinitz have strongly opposed Barak on the grounds that the sanctions were proving highly effective. Critics say Prime Minister Binyamin Netanyahu's decision to release the funds is a capitulation to intense pressure from the European Union, United Nations, and United States that does not serve Israel's interests and demonstrates weakness.